In my last post I examined the common but highly psycho-spiritual phenomenon of tobacco addiction interpreting it as a religious experience of sorts based on body sacrifice. In this post I wish to consider the whole idea of breath and its application to spirituality and its earthy counterpart, cigarette smoking. Breath is one of those things in life that we aren’t aware of most of the time, unless we’re forced to run up a steep hill against our will. It’s a bit like God then who for most of us doesn’t encroach too often onto our daily consciousness. Yet Breath is always there keeping our body alive on Planet Earth. Run by the software of the unconscious, breath continues its in/out output without much thought. Occasionally, breath’s routine operation comes under the spotlight of our consciousness e.g. in the middle of a panic attack when it seems to nearly shut down altogether. In other words, our breathing operates under the influence of our emotions, which lie hidden in the cellar of our lower unconsciousness. Our breathing then is a tell-tale indicator of the state of health of our inner world. The more healing within the fractured ego-psyche the easier our breathing. The more stress there the more staccato and unpredictable the rhythm of our breath. Eastern practices like meditation and yoga emphasise breath as a conveyor of spiritual experience. As we learn to breath correctly there appears to be a kick back into the psyche allowing for the release of an inner peace and ofttimes enlightenment experience. Conversely those who have had spiritual experiences find that their awareness of breath and its hypnotic rhythm dramatically improves. Interestingly the Hebrew word for breath, ‘ruach’ is commonly translated as Spirit or spirit in the religious writings of the Jewish Old Testament. It would appear then to the ancient Jewish spiritual writers that breath and Divinity are in some way linked. Adam was said to have received the ‘Breath of God’ and become a living soul or psyche. In His spirituality teaching Yeshua promised that Holy Spirit or Holy Breath would come INTO his followers after His departure. 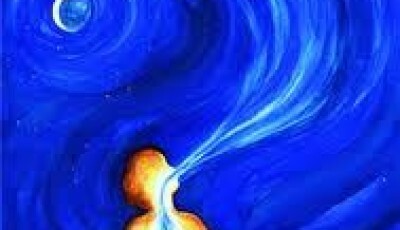 Clearly there is some mysterious link between human breathing, a balanced, restored psyche and Divine contact. When all three are in harmonious alignment then Divine Life flows into, through and out of the person concerned. Like our physical breath we breathe in Divine Love, draw life from it and send it back out into a broken world. So where does smoking figure in all of this? Well as I suggested before, it is a highly religious if ultimately destructive experience. Let’s look at it from a breathing point of view. The smoker is edgy due to the nicotine addiction – a symptom of their fractured fearful unconscious. The answer is to give time and space to the god of nicotine. Stepping outside a public building parallels the withdrawal to the prayer closet for the religious believer, or the meditation room for the spiritual devotee. Here the psycho-spiritual practice of breathing takes place. Yet unlike the inhalation of spirit breath by the Divine seeker, the smoker inhales in hallowed puffs the associated chemicals that bring disease rather than wholeness. The god nicotine once again delivers its shot of chemical love, accompanied by its dark agents of destruction. The fractured soul is once more reassured that it is not alone, but in the caring embrace of its pharmaceutical friend, sharing a fellowship of millions worldwide. The self-righteousness of we, the non smoking fraternity, only bolster the sense of persecution that the smoking loner feels, like a cult member ostracised by their family. The lines of demarcation have well and truly been drawn. The them and us of smoking dualism established. The smoker’s experience is therefore, I’d suggest, deeply religious in nature; the dark alter-ego of a genuine encounter with Spirit Breath. A chemical worship feast that enslaves rather than frees; a short-term fix for a psychic problem. The tobacco event is, I believe, the smokers cry for genuine Spirit Breath contact; a contact with Other that seems so far away. Yet it is a sad counterfeit at best, with temporal serenity granted, paid for with poor self-esteem and continual restlessness. So what is to happen to the tobacco addict? Thankfully, like any addict, religious or chemical, the tobacco slave can expect a visit from Holy Breath, an opportunity to let the Divine healer rewire the wounded psyche and bring fresh life-flow to the soul. Love, and Divine Love at that, is the only One to blow away the stains of imprisonment, replacing them with the etchings of unconditional acceptance and exploding new life. After all that let’s just take a deep breath. One never knows who may come in! Just as there isn’t a way to rationalize or “talk” a smoker out of smoking, there isn’t a way to rationalize with someone with a religious addiction. Sometimes, they come out when they’ve had enough abuse. Some live their whole lives under the shadow of the addiction. Indeed redsoprano. Our addictions are deeply personal attachments that we cling to for identity and comfort. It may take many years for the penny to drop but once it does tremendous power is available for the rewiring of desire. Very interesting, thought-provoking post, Dylan. Thanks Graham. Much appreciated. Glad that you found my new angle on addiction to smoke thought provoking. Be it smoking, alcohol or drugs, they are all addictions that I never understood. I used to believe that if you ask someone you love “please stop smoking, please don’t drinking etc.” they’d do it out of the love for you. Nope! I was dead wrong, their is only one thing that will stop most, and that’s a good shift kick in the bum by the maker himself. Good call – I hadn’t made that connection before. My parents were both smokers (Mum cigarettes, Dad pipe and cigars) and, contrary to popular wisdom, rather than hook me in by imitation or immersion, I was put off the foul stuff for life – have never smoked, and have zero intention of starting. Funnily, I’ve never minded having an alcoholic drink or two, so it’s not the “ingesting toxic substances into my body” thing that puts me off. Rather the concept of INHALATION of anything but clean air has always been repulsive in the extreme – the moreso since I understood the structures of the alveoli etc. I even sleep with my window open, where security permits, as any sense of stagnant air is stifling for me – I’d rather put another jumper on than be in a stuffy room, much less SLEEP in one. Possibly the repugnancy I have always felt for smoking is sourced in something far more fundamental: the inner knowledge that it is a “religious practice” that invariably damages the devotee, not just physically but perhaps spiritually as well. Thanks for sharing your experience of ‘smoking parents’ Chris. The idea of holding onto our breath through hidden fear has repercussions I believe throughout our emotional lives. Fresh air rules!! !